I was tagged by In Love & Words for this really cute book tag and I knew I had to participate in this one. So here we go! I’ll have to guess on this one because most of my childhood books are in my parent’s storage unit. But on my current bookshelf it’s my Harry Potter hardcover collection. I was a little late to the game and didn’t start Harry Potter until the first book had been out a few years but once I started I was hooked! I’m only about 15% into this one and I’m loving it already! I enjoyed the first in the series but there’s something about Marcus and Bree that I’m really enjoying. I’m not sure what I’ll read next; I have a list of books to read this month but I usually go by my mood after I finish the current book. 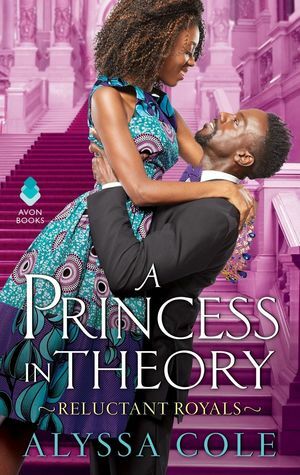 Sadly, I wasn’t able to finish reading A Princess in Theory by Alyssa Cole though I wanted to like it so badly! 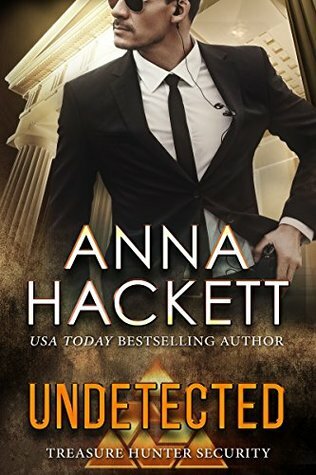 The hero was a big turn off for me and I had some problems with the writing as well. You can see my full here. I grew up on Harry Potter books so when J.K. Rowling wrote an “adult book” I told myself I’d definitely read it. 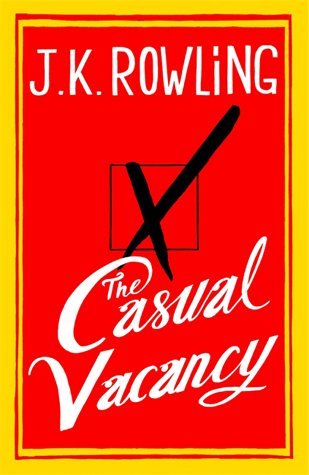 However, it’s many years since The Casual Vacancy came out and I have a feeling this will continue to sit on my TBR pile. None! If I want to read it I’ll just read it; besides retirement is way too far away for me to wait to read a book. Last page: read it first, or wait until the end? Definitely wait until the end! I don’t want to spoil anything. Acknowledgment: waste of paper and ink, or interesting aside? I think acknowledgments are more for the author to give their thanks so I don’t feel it’s my place to judge. Sometimes I’ll read them and sometimes I’ll skip over them. Ah this is an unfair question because there are so many choices! Also a lot of my favorite characters are from my science fiction romance books and I don’t necessarily want to live in a post-apocalyptic or alien infested world, lol. If I had to pick I’d say I would switch places with Becca Merritt from Hard As It Gets by Laura Kaye. I fell hard (pun intended) for this series and to have these characters be real and get to meet them would be amazing. Lots of my books have memories attached to them but it’s usually a memory I get when I sit down to reread a book and think about that particular book. Hhhmmmm, this one is hard. I guess I’d have to go with my first romance book. My neighbor knew I liked to read and she had a big paper bag full of books that she gave me when I was 14. There was a whole mix of genres in there but there was also a book from the Wings in the Night series by Maggie Shayne. I already liked teen vampire novels so I gave it a try and feel in love! I don’t know that there was a special reason but I’ve given plenty of my books away to friends. I’m mostly all digital now so that’s not really an option anymore, which is probably the one thing I don’t like about ebooks. In this case it’s more my Kindle has been everywhere as opposed to a single book. I’m pretty set in my opinions on books so if I liked or didn’t like a book the first time it’s very unlikely that will change later. I don’t mind either way but since I typically only buy ebooks, they are obviously new. I do sometimes get some of my books used from a local store I love. Nope and probably never will. Not my interest. 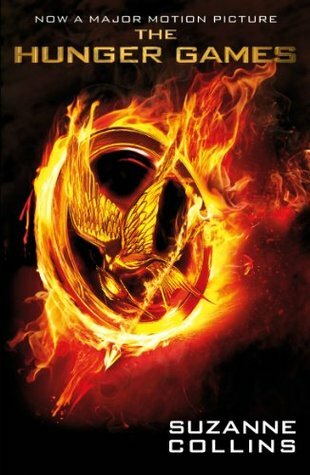 So I read the first Hunger Games book by Suzanne Collins and I really hated it. Don’t get me started on why because we’ll be here all day. But I thought the movie was actually pretty good and it smoothed out a lot of problems I had with the book. I can’t think of a title off the top of my head but yes, some authors describe food so well that I get an instant craving for it. Generally I’m the one giving the book advice so I can’t say that I have someone like this. Most of my friends and family read genres other than romance so we sadly don’t have a lot of crossover. Is there a book out of your comfort zone that you ended up loving? 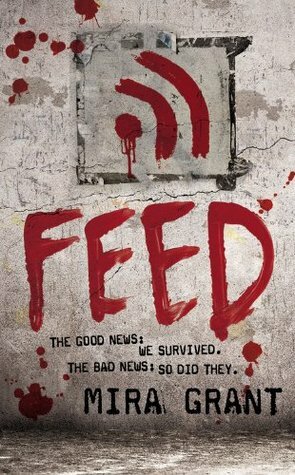 I took a chance on reading Feed by Mira Grant and ended up loving it. I can’t even remember why I decided to give a try because I’m not a fan of zombie books but I’m glad I did because it was really unique and interesting. And I own most of the book in that Laura Kaye series, but haven’t started it yet! I just bumped it up on my list!! Hopefully you’ll enjoy them; I’ll look forward to your reviews!